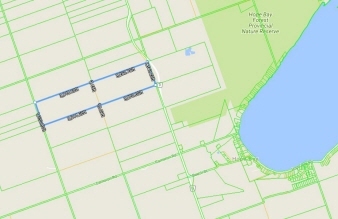 203 acres of hardwood bush in the Bruce Peninsula off County Rd 9 just 3 km from Hope Bay. Approx. 80% maple. Last time logged was 1993. No property tax due to ANSI designation. Legal access to property on road allowance and shared access through road at lots 1 & 2. Hydro available at road allowance. Recreational and/or generate income from trees, either syrup or lumber … either way, plenty of opportunity from this acreage. OPEN FOR OFFERS!